‘Tubaba ’ Idibia has called on the Nigeria Copyright Commission (NCC) to intervene in the ongoing Copyright Society of Nigeria (COSCON) crisis. 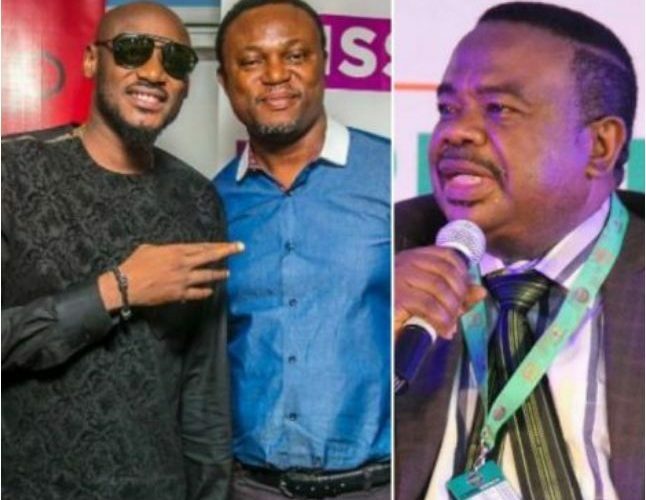 Tuface in a petition addressed to the NCC, lamented that Efe Omorogbe and other COSON board members were “being harassed, and intimidated’ by the police. This is in regards to power tussle between Tony Okoroji and Efe Omorogbe, who are both laying claim to the leadership of the body. Tuface in the petition accused Okoroji of fighting for the control of COSON for “personal ends”. The petition, addressed to Alam Ezekude, director-general of NCC, was copied to the Ibrahim Idris, the inspector-general of police, Senate President Bukola Saraki, Vice-President Yemi Osinbajo and President Muhammadu Buhari. It read “It is quite unfortunate and disheartening that a simple call for accountability and transparency has degenerated into relentless media attack, harassment and intimidation of the group of people who made the call. Omorogbe is the longtime manager of the ‘African Queen’ singer. Meanwhile, Audu Maikori, a director on the board of COSON, recently advised Okoroji to let go of power or risk being “disgraced” like Robert Mugabe, Zimbabwe’s ousted president.